If you have been to the executive clergy session at a United Methodist Annual Conference, you have heard the bishop ask every person who has been approved for ordination as a deacon or elder a series of questions. Sometimes, the examination seems to be a mere formality, a final technical hurdle on the way to the ordination service. At other times, the examination provides the opportunity for the bishop to elaborate on the ways that she or he sees these questions as of particular relevance in our current moment. There are even times when the clergy themselves laugh or groan when some of the questions are asked. 1. Have you faith in Christ? 2. Are you going on to perfection? 3. Do you expect to be made perfect in love in this life? 4. Are you earnestly striving after it? 5. Are you resolved to devote yourself wholly to God and his work? 6. Do you know the General Rules of our Church? 7. Will you keep them? 8. Have you studied the doctrines of The United Methodist Church? 9. After full examination, do you believe that our doctrines are in harmony with the Holy Scriptures? 10. Will you preach and maintain them? 11. Have you studied our form of Church discipline and polity? 12. Do you approve our Church government and polity? 13. Will you support and maintain them? 14. Will you diligently instruct the children in every place? 15. Will you visit from house to house? 16. Will you recommend fasting or abstinence, both by precept and example? 17. Are you determined to employ all your time in the work of God? 18. Are you in debt so as to embarrass you in your work? 19. Will you observe the following directions? a. Be diligent. Never be unemployed. Never be triflingly employed. Never trifle away time; neither spend any more time at any one place than is strictly necessary. b. Be punctual. Do everything exactly at the time. And do not mend our rules, but keep them; not for wrath, but for conscience’ sake. If every ordained United Methodist pastor has had to answer these questions at some point, would it not be wise to spend some time thinking about what they mean? Why would Wesley ask these nineteen questions instead of nineteen other questions to ordinands? What do they mean? Why should we ask these questions today? Unfortunately, they have not received much attention in United Methodism. Maybe this is because some of these questions are embarrassing to contemporary sensibilities? Carolyn Moore offers The United Methodist Church a gift and an invitation to further conversation in her book, The 19 Questions to Kindle a Wesleyan Spirit (2018). The organization of the book is straightforward and accessible. A chapter is dedicated to a brief reflection on each of the questions. Moore invites us to explore these questions with greater attentiveness, care, and presence of heart and mind. She exhorts us to be honest and have integrity throughout the ordination process, noting that in our current “social climate” it can be easy “to embrace dishonesty for the sake of fulfilling our own agenda” (20). As I read the book, I found myself leaning in and yearning for a more substantive and theological conversation about Methodism. As I read, I wanted to gather around these questions with other Methodists. Moore often said something with a perceptive and piercing turn of phrase that made me stop reading and imagine what the implications would be for the people called Methodists. To give but one example: “If you want your kids to know Jesus, you can’t outsource it” (82). She also asks us some hard questions, like, “What if theological integrity means a smaller tent” (59)? There were also a few times I wanted to know more about her take on a particular question. When, for example, Moore writes, “Wesley’s second question [“Are you going on to perfection?”] is not whether we have reached it or even if we can” (18). I agree with her on the first and want to know more about what she means by the second part. Despite wanting to know more, I was very encouraged to see a United Methodist leader take a difficult question like this so seriously and invite us to wrestle with it in hopes of being able to say “Yes, by the grace of God” with conviction. The seriousness with which Moore takes each of the nineteen historical questions is the major strength of the book. She avoids the temptation to offer cheap shortcuts or tone down the high expectations that are evident in some of these questions. 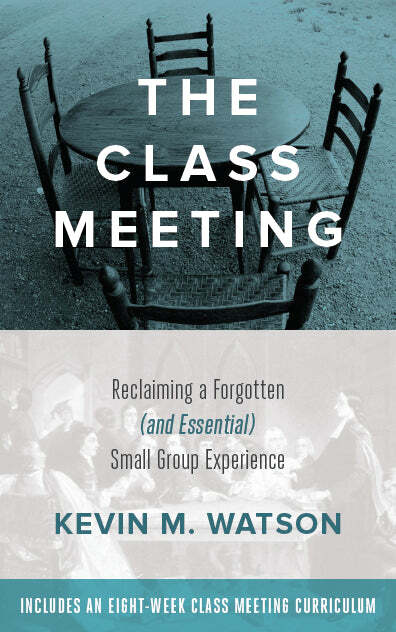 This is a book that United Methodists need to be reading and wrestling with right now. I think one of the major reasons for the historical questions was to protect the unity of Methodism in its early years. 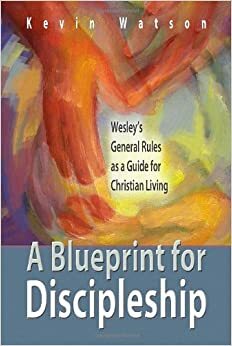 Wesley was constantly looking for ways to press the people who were connected to him that unity involved a commitment to a particular set of beliefs (doctrine) and a particular set of practices (discipline) – all to the end of spreading scriptural holiness. I hope Moore’s book is the beginning of more sustained engagement with basic questions of identity, belief, practice, and how these relate to meaningful unity for any people called Methodists.